Looking back at 2017, we saw the closure of stores, the end of an era of a respected brand store and we had seen many local retailers on the brink of closures. The last weeks of 2017 also affected retail – fuel price increases and the ANC elective conference were among the disruptive forces that plagued the retail and shopping centre industry. Despite this, each mall, shopping centre and retailer-both bricks and mortar as well as the ever-growing online, offered something unique to the consumer. 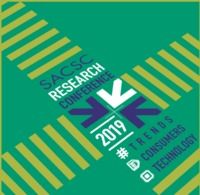 The South African Council of Shopping Centres (SACSC) spoke to Chief Economist for the Efficient Group Dawie Roodt who said that more money was spent over the 2017 Festive Season compared to the rest of the year. “Consumers spend more over the Festive period – not because of improved circumstances but mostly because of factors such as better marketing and relatively low interest rates. New developments such as Black Friday have also contributed to the spending ‘binge’,” he said. Dawie also added that 2018 may not be different to 2017 in terms of the economy. “I am afraid that although the past Festive Season may have been good, last year as a whole was quite dismal. The fundamental reason for this is simply weak economic growth that dampens job creation and wage increases,” he said. Retailers and shopping centres alike had to rethink strategies and sales campaigns and offer more to the ever-changing consumer such as extended shopping hours, entertainment and keeping children happy which meant that parents had the opportunity and the reason to get to the malls. Shopping centres introduced innovative kid’s entertainment programmes which added excitement to the shopping experience. Mall of Africa ‘brought the beach’ to Waterfall. The mega mall entertained families with authentic beach sand, water slides and pools. 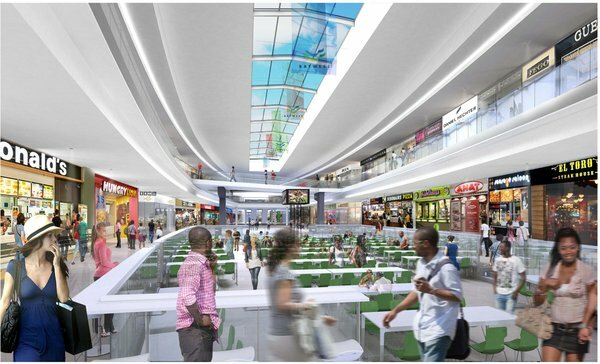 Michael Clampett, Head of Asset Management for Mall of Africa said over the December period, the centre experienced a 9% increase in visitors compared to the previous year. “We brought the beach to Waterfall during the December holidays. From 9th to 23rd December, the park was transformed into a Summer playground with activities for children of all ages. More than 17 000 families visited the beach,” he added. Gateway Theatre of Shopping located in KwaZulu-Natal ‘brought the snow’ to Umhlanga with ice slides and snow ramps. Michelle Shelley, Marketing Manager for Gateway said ‘Snow World’ was a success. “Shoppers were able to voyage into a world of snow for the first time in Durban with ice slides, snow ramps, snow play area, a chilling arctic chamber, realistic animals of the ice age expo-to name a few. Gateway’s Snow World was suitable for all ages and was open from the 1st of December 2017 to the 14th of January 2018 from 10am to 6pm daily. The activation was set up in the ex-Stuttafords premises and attracted over 55,000 shoppers,” she said. Noel Otto, CEO of Power Fashion Factory said that 2017 taught the group about the lower LSM consumers and their significance. “Results demonstrated that Black Friday has been adopted by lower LSM consumers who are known to budget methodically and who will cherry-pick exceptional value offers. We learnt that we have to plan our stock for this calendar event as well as take December trade into account too, as it undoubtedly erodes year-end disposable income. Margins need to be reactive and relative, as price-check tools expose perceived value against exceptional value. Our most popular item sales suggested that as a category and across the board, kids wear is where the action was. Boy’s t-shirts proved to be an outstanding sub-category,” he said. Noel further added that a trend that he had picked up on in 2017 was customers looking for value and to get more out of their money. “Customers are hunting out true value in fashion and goods on promotion, to push their hard-earned Rands as far as they could go. This was observed from Black Friday and which seemed to be the continued customer expectation through the high season,” he concluded. In a trading update for its year to December, Massmart reported a slight uptake in sales. For its 53-week period to end-December, total sales grew by 2,7% year-on-year. For 2017 sales rose by 1%. Comparable store sales dipped by 0,8%. The company noted that it had battled a weak economy. The group operates in 13 sub-Saharan countries in its four operating divisions. South African stores grew sales by a paltry 1,8% with comparable store sales down by 0,2%.